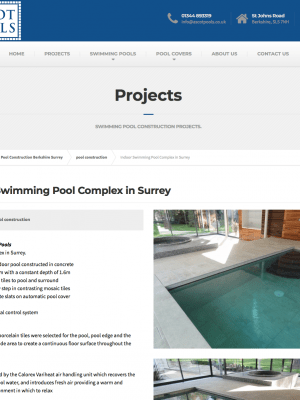 We developed a CMS-based website for easy updating, local SEO and video production for this Berkshire-based pool construction company. 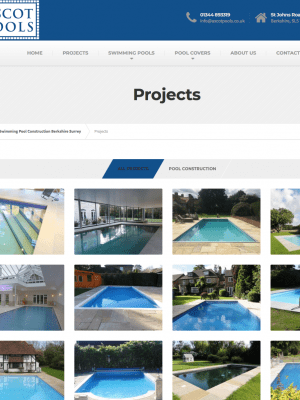 Website design/development, Search Engine Optimisation (SEO), branding and video production for this Berkshire-based pool construction company. “After thorough consultations about my visions for the business and the brand, Deren was able to put together a comprehensive report and proposal, outlining his suggestions step-by-step, with very clear justifications and expectations. 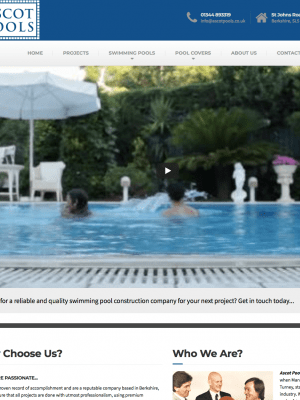 The website from Deren and his team was to replace our outdated site that had start gathering virtual cobwebs, with no real traction nor being used to ramp up our business. Deren showed me the importance of ensuring my website helps with the growth of my business, rather than being a placeholder for my contact details. The work carried out and the approach it was carried out with has been exceptional, I can’t have asked for much else. 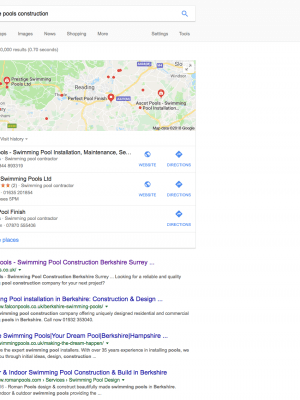 The SEO that Deren recommended has shown us up on Page 1 of Google for various targeted phrases and the results have exceeded any expectations I had – the quality of website visitors, leads and enquiries has been incredible and my job of closing those construction deals has been so much easier.